Irving Penn (1917–2009) was among the most esteemed and influential photographers of the 20th century. Over the course of a nearly seventy-year career, he mastered a pared-down aesthetic of studio photography that is distinguished for its meticulous attention to composition, nuance, and detail. This indispensable book features one of the largest selections of Penn’s photographs ever compiled, including famous and beloved images as well as works that have never been published. Celebrating the centennial of Penn’s birth, this lavish volume spans the entirety of his groundbreaking career. An enlightening introduction situates his work in the context of the various artistic, social, and political environments and events that affected the content of his photographs. Lively essays acquaint readers with Penn’s primary subjects and campaigns, including early documentary scenes and imagery; portraits; fashion; female nudes; peoples of Peru, Dahomey (Benin), New Guinea, and Morocco; still lifes; and much more. 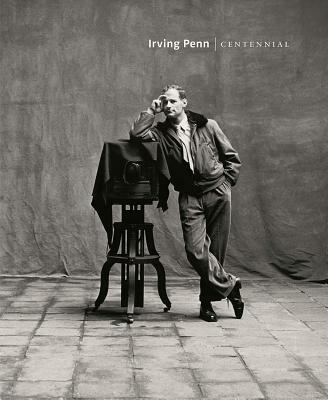 Irving Penn: Centennial is essential for any fan of this artist’s work or the history of 20th-century photography. Maria Morris Hambourg is an independent curator of photography. Jeff L. Rosenheim is curator in charge of the Department of Photographs at The Metropolitan Museum of Art.